I found this writing on my Odesk. I am writing na pala before pa. It was so disappointing that I didn't continue it. This is dated last 2011 when I had my adventure in Malaysia. I miss this place so much. I had a lot of adventures there and I hope I started blogging back then. There are no enough public transportation. Being a Filipino I am used in riding jeepney’s or tricyles but here they only have taxi’s and buses. Aside from the LRT’s, KTM and MONORAIL. Bus drivers here are well disciplined, they will not stop anywhere but to every bus stop signs with police or without police. But sometimes it’s very hard to wait for a bus it will take you hours. In riding the bus, (aside from the Metro bus) we used a “touch ‘N go” card. 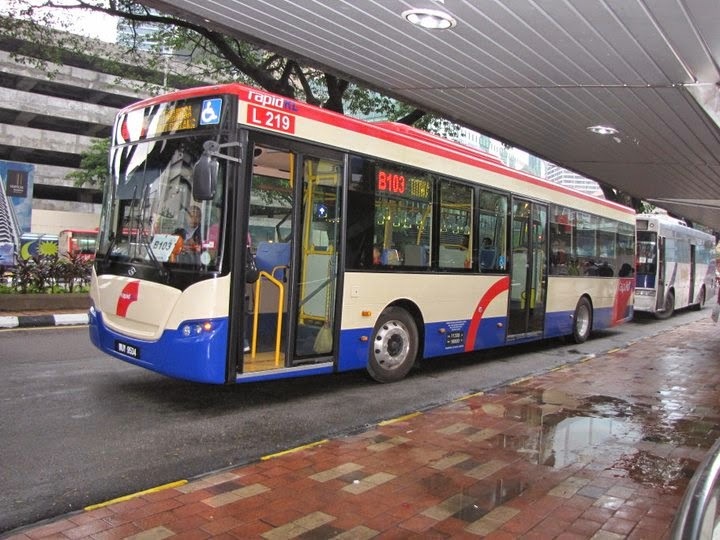 Where you can top up of any amount for your fare. Before (like my mom said) they just pay 1RM-2RM. 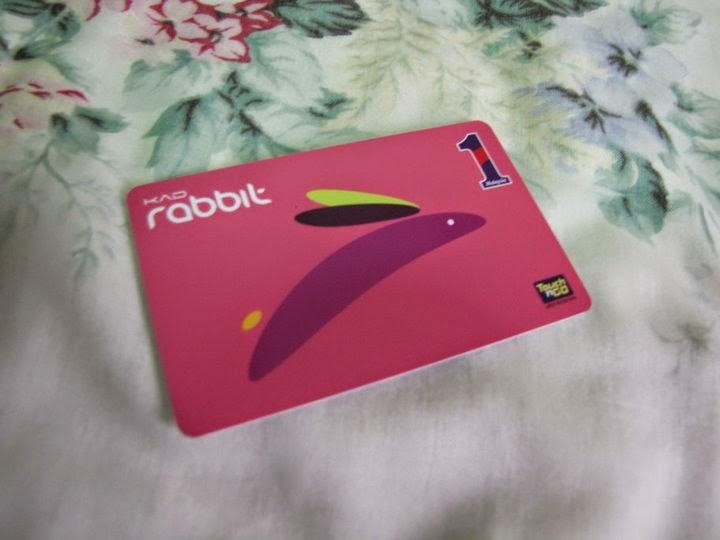 But now you need to have this card to ride any KL Rapid bus (I always ride KL Rapid bus) so I avail this card and will just swipe it before entering the bus and then will swipe it again before dropping off the bus. And unlike in the Philippines, the buses here have larger windows but have fewer seats. And they only had placard numbers for specific locations. Every place here had “pasa malam” (night market). Like here in Maluri where I stays “pasa malam” is every sunday night. Famous foods here are very spicy. Like “nasi lemak” (silent k) which consist of a rice, peanut, cucumber and red spicy sauce. It was folded on a paper. Another example is “asam laksa” asam means sour or salty laksa means the noodles. It taste good but I can not eat it all because it was so spicy when you put the sauce. That’s why I usually cooked my own food. 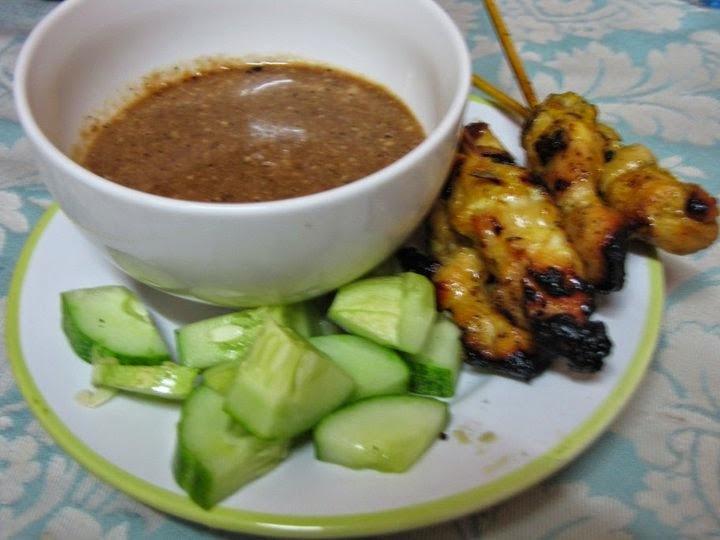 But I loved the street foods like the chicken barbeque with a peanut sauce and fresh cucumber its called “satay"
Malaysia is mostly consist of Muslims and in every public place women are separated from men. When you enter a house you should remove your shoes. Malaysia is the asian country that have many foreigners.You can see different races like Indian, Bangladesh, Myanmar, Indonesian, Chinese, Filipinos, and Americans. Backpacker’s (mostly Americans who always walked with their big backpacks) loved this country. They are almost everywhere. They loved to walked and always had their maps on their hands. Because they feel safe here. The main tourist attraction was the “Petronas Twin Tower”. Which was constructed by mostly Filipino’s and also engineered (which are not written in the books). Some of the Malay language are similar to Ilocano’s dialect and Tagalog. There are no big billboards in the highways. They have a very clean air. Kulangot mu ay white! Yay!